It is only a matter of opportunity to book this one. The fact that the last minute prices were quite less was an icing on the cake. I had to make an urgent trip to Kerala for an official purpose. Since my appointment was on Monday, I decided to do the trip on Sunday instead. 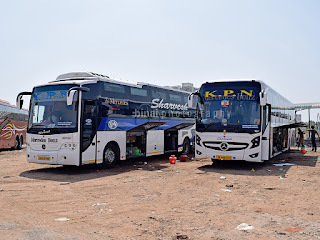 Buses on Saturday night were sold out (quite interestingly) and my only option was to take a flight or a bus on Sunday morning - Saturday evening flights were way beyond my budget as well. I booked a ticket to Coimbatore on LeCosta aka Air Costa for a Sunday morning. I was quite excited to be flying an Embraer again, and on the E-190 for the first time. Air Costa is the sole Embraer operator in the country. They, earlier, flew a combination of E-170s and E-190s (two each) - but they recently brought down their operations to three E-190s at the beginning of Summer 2016. Yet another morning flight! Unlike my previous morning flights this year, I decided not to take a cab to the airport this time. I am generally phobic to traveling in a cab to the airport during early morning hours - the airport road is a hotbed of accidents, and overworked drivers end up killing people there. 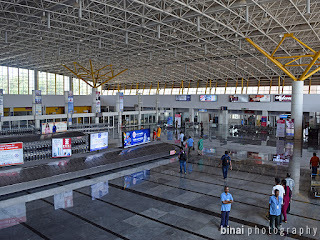 Instead of hiring a cab to the airport, I took a cab to the main city bus station aka Kempegowda Bus Station, well known as Majestic Bus Station. From there, I got into an Airport Shuttle bus. This is an economical, and a much safer option, compared to hiring a taxi. 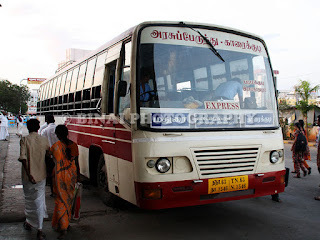 The bus can get expensive if you are travelling in groups of more than two people though. I slept for most part of the bus journey. I reached the airport, groggy eyed, sometime around 0620hrs. I badly wanted a dose of caffeine, and headed straight to the Hatti Kaapi outlet for some hot coffee. The coffee was not boiling hot - just the right amount of heat, to my liking. After Coffee, I loitered around for some time, before entering the terminal. My flight would depart only at 0840hrs, and the check-in counter wasn't opened yet. 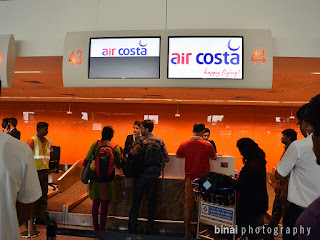 Air Costa ground staff were busy preparing the check-in counters - Belt Stanchions were being rolled into place, the queue line was being made. Two ladies at the counter were busy checking their computers. I loitered around for sometime, and came back to the counter by around 0842. By now, a fairly long queue had already formed. 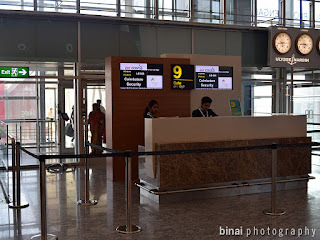 It took sometime for me to reach the check-in counter. 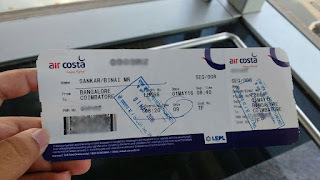 I got my boarding pass by 0647hrs. 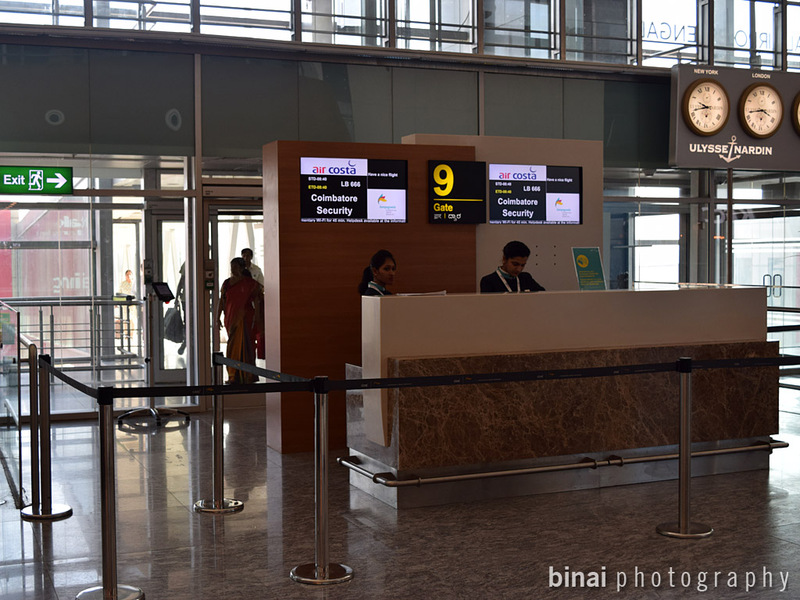 Except the counters of Silk Air and Oman Air, the other counters were mostly deserted. Security check was empty - really empty. Majority of the frisking booths were open, and there were hardly 2-3 people at each booth. I got past Security by 0653. Straight to my favorite spotting location near gate #1. Looks like a lot of people are getting aware of this location - this place was crowded today. And the apron was really busy for most part of the time. I remained at the place till the aircraft that would work my flight arrived. I was tracking this flight on FR24. Lima Papa Bravo touched down in Bangalore at 0808hrs. I headed towards the gate soon after the aircraft passed my favorite spotting location.We were boarding from Gate #9. I was particularly interested to know the inbound loads, which seemed quite healthy going by the number of people who alighted. 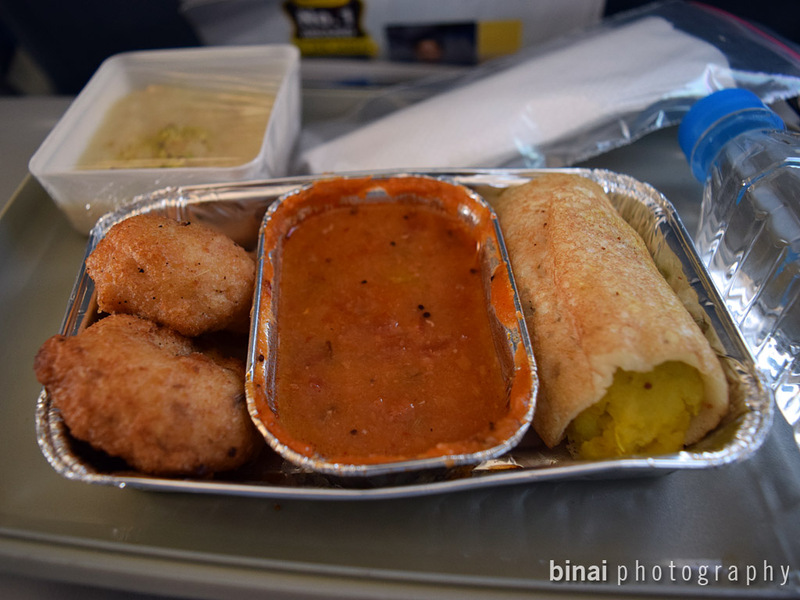 I was slightly hungry, and since boarding was still quite some time away, I headed out to the Taste of India Express counter to pickup something light to have. While I was having a light pre-breakfast snack, the gate agents started calling out passengers for boarding. Boarding commenced at 0818hrs (10 minutes after the aircraft landed!). 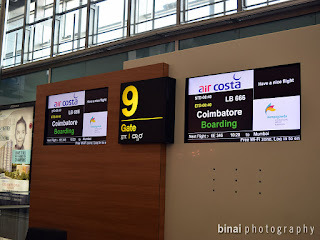 VT-LPB coming in from Vijayawada..
Gate #9 before boarding was called..
Boarding LeCosta 666 to Coimbatore.. I boarded the aircraft at 0823hrs. 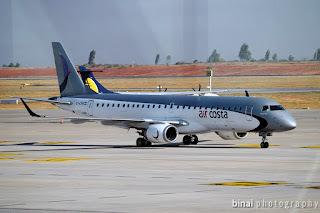 VT-LPB (cn: 217), was delivered to Air Costa in March 2016. She was originally delivered to NAS Air in November 2008. The 7-odd year old bird was kept in good shape. The aircraft had 112 Economy class seats, laid out in a 2x2 layout. 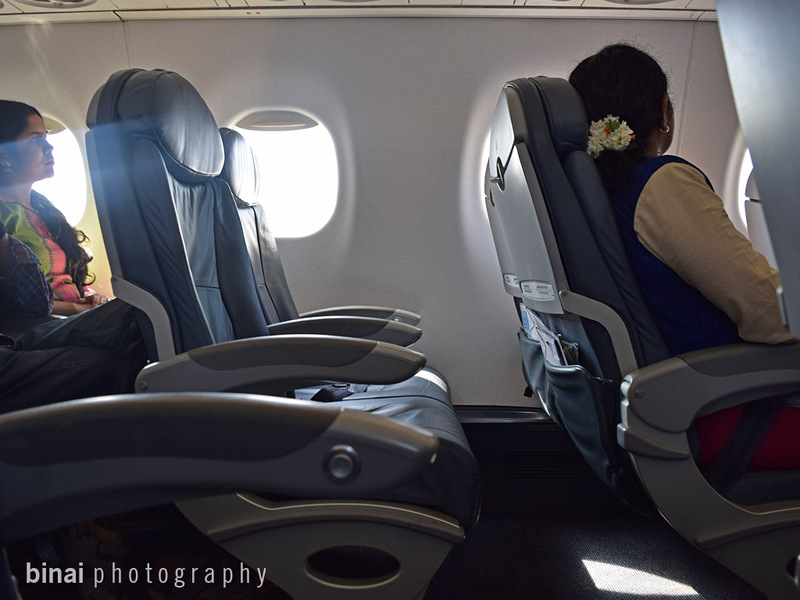 The seats were really comfortable - quite different from the ones on Airbuses or Boeings. The windows seemed a size larger as well. The leg room was great as well. One interesting fact was that the cabin crew incharge Mr. Vimal Raj individually welcomed each guest with a Namaste. The gesture seemed really good. Boarding was completed at 0830. The welcome announcements followed. In the deck were Capt Fernando Cano and Senior First Officer Pramod. In the cabin were Mr. Vimal Raj, Ms Monica and Ms Divya. The door was armed at 0832hrs, and we were pushed back at 0833hrs. Taxi clearance took some time - there were two other aircrafts ahead of us. We commenced taxi at 0838hrs. We made it to the holding point of Rwy27 at 0843hrs. 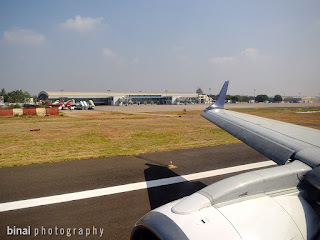 We had to wait till IndiGo's VT-IGX touched down (inbound from Lucknow). We entered the active runway at 0845, and took off at 0846hrs. 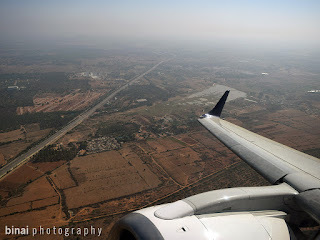 We climbed straight to the West, then turned South East for some time, flew over Bangalore city before turning South West towards Coimbatore. The seatbelt sign was turned off at 0851hrs. 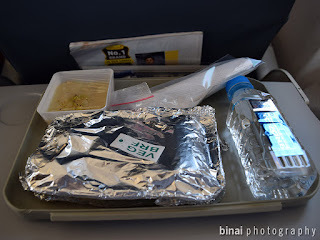 A flurry of activity followed - a series of announcements about their buy-on-board service and their wide menu (listed in their inflight magazine). I had prebooked a Meal. Mr Vimal came in with a tray for me - while handing over, he addressed me by name, and said, Breakfast for you, sir! That was great. The tray had a bottle of water, an aluminum container with a "Veg BRF" sticker on it, and a container with a dessert. ..and, that was my breakfast..
On unpacking the aluminum container, I found a Masala dosa, two Medu vadas (fritters made of black lentils) and a pack of sambhar. Plastic cutlery was provided. The dosa was warm, and soft. The sambhar was of Karnataka style. The vadas were soft. By the time, I was half way through my meal, the seatbelt sign was back on (0850hrs) - the captain came on the PA, and addressed the guests. I had to hurry a bit with my meal - the dessert was a Kheer (Rice Pudding). The quantity was sufficient, and it was appropriately sweet. Mr Vimal asked my feedback about the food before clearing the tray - again a nice touch. By now were were close to Coimbatore - the hilly terrain was replaced with large swathes of unused land, with patches of farm lands strewn around appeared. We touched down on Rwy23 at 0914hrs. Full reversers were applied and we braked real hard. 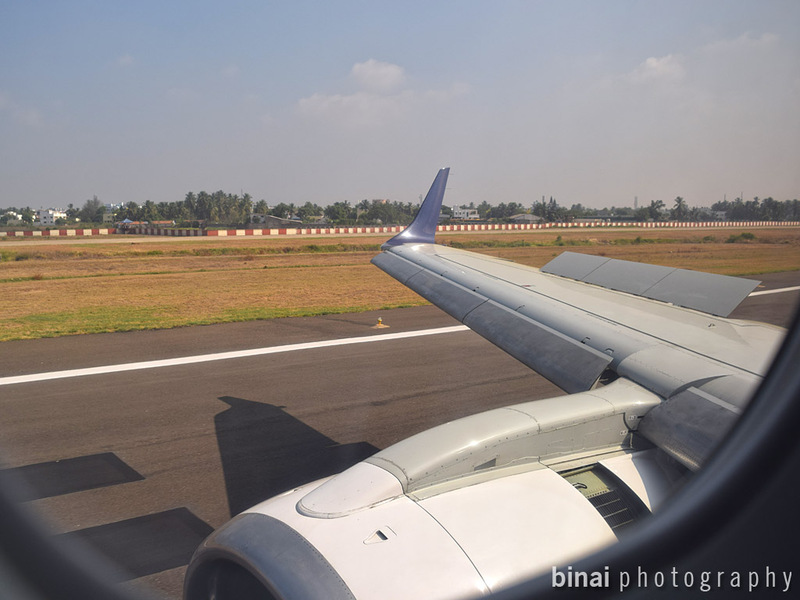 The aircraft stopped right after the exit to the apron. We went a little ahead till a turnpad, and then backtracked. The aircraft finally parked at a jetway stand by 0917hrs. I was out of the aircraft by 0921, and out of the airport by 0924hrs - well before the scheduled arrival time! The seats! They were really comfortable. 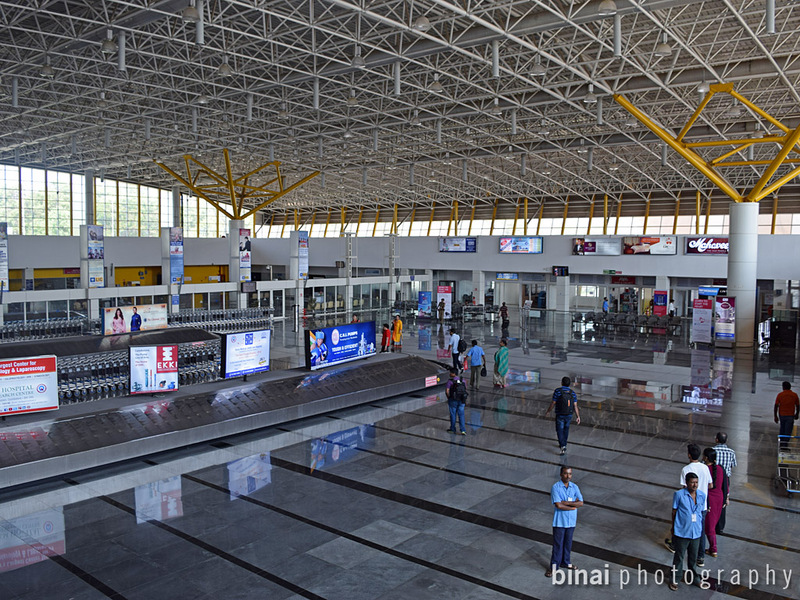 Thats the terminal. We passed it.. I really liked this flight. The crew were very friendly. I must really appreciate Mr Vimal Raj - he took personal care of passengers on the flight. The aircraft - Embraer ERJ-190LR, VT-LPB, is the only one of its kind in the Air Costa fleet. The other two aircrafts are ERJ-190STD. This 112 seater aircraft is powered by two General Electric CF34-10E7 Turbofan engines. The aircraft was silent compared to the other narrow body airliners. Like my previous flight, I got a windowless window seat this time as well. 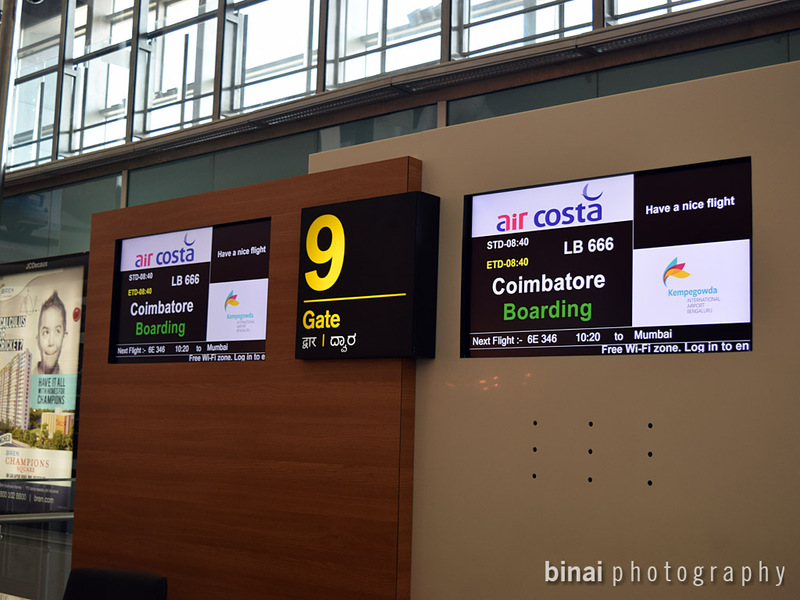 The arrivals hall in Coimbatore..
Air Costa is often in news for frequent cancellations and their network seemed to have reduced in size, than expand. 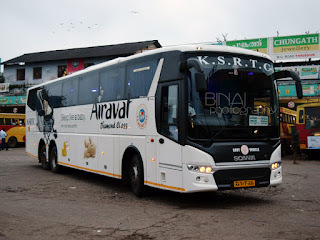 They had recently announced conversion of their permit from being a Regional operator to a Pan-India operator. I really liked the experience both the times I flew them (read my earlier experience here). I hope they come out of their unpredictability and expand across the country. And a big thanks to them for letting us have this opportunity to fly these uber rare Embraers in this country.